Have you ever had your Porsche pedal shaft bushing creak, bind, or wobble ? If you haven't, consider yourself lucky, as this has been a common problem for many of us in the Porsche world. 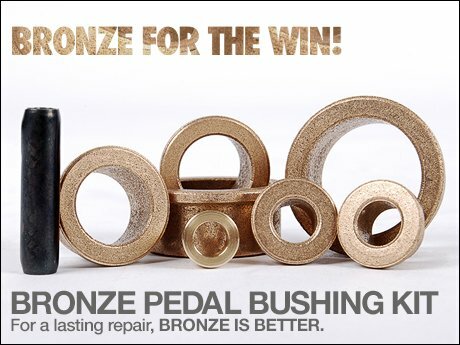 This kit of bronze pedal bushings will stand the test of time, giving your pedals a smoother, more fluid movement for years to come. 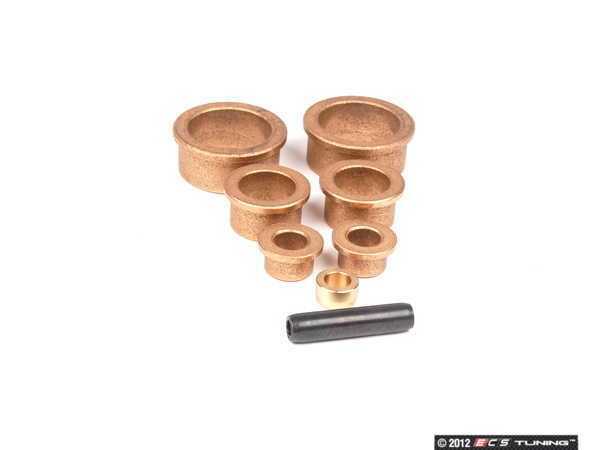 This kit includes seven bronze bushings and even contains a replacement pedal roll pin to fit your 914 perfectly. Get this detail taken care of over winter, replace your worn plastic bushings with brawny bronze upgrades, and restore smooth, fluid pedal movement. Stronger than plastic, bronze bushings are a durable cure for this common problem. Restore your pedal feel today !! :: ECS Tuning :: VW MK6 GTI ECS Suspension Deals - Sale / Gift Card Eligible !! !